Ocean and Resources Engineering – Real Science at SOEST! HAS MOVED! Real Science at SOEST! HAS MOVED! It’s hard to pinpoint when my path to grad school began, but one possible beginning is the summer after graduating high school. Going into my final year of high school, I knew I wanted to go to university (I’d known this since I could spell ‘university’) but still hadn’t chosen a major. Theoretical physics, math, engineering, and even the Catholic priesthood were all paths I considered. A mentor suggested I more seriously consider engineering. After some research, the Mechatronics Engineering program at the University of Waterloo (UW) sounded very interesting; this was the first year it was being offered at this school, and the focus on robotics appealed to the little kid inside me who remembered watching Transformers cartoons growing up. Looking back, I’m amazed at how little thought I put into this decision and how, despite this lack of careful planning, things have worked out remarkably well. I accepted UWs offer in March 2003 and graduated high school in June. That summer I taught violin lessons (along with working at a garbage transfer station, but that’s another story) part time so I could afford to buy a laptop for college. By all outward appearances, my students dad, Scott (not his real name), was a hardworking farmer who lived a few miles up the road and who I’d known for years. However, after getting to know Scott I discovered that in addition to being a beef farmer he was a SONAR system programmer for the navy. I’d heard of the field of underwater acoustics before, having read a steady diet of Tom Clancy novels growing up, but had never thought to wonder if people actually worked as researchers or designers in that field. It sounded like a neat field to work in. I didn’t know it at the time, but that afternoon spent learning a few things about underwater acoustics would have a dramatic influence on the path my life would take. In September, I started my engineering degree and spent the next 4 2/3 years specializing in pattern recognition and signal analysis. I never forgot that afternoon I’d spent with Scott, though, and whenever possible I took elective courses (such as remote sensing and advanced fluid dynamics) which might one day let me work in underwater acoustics. During this time, I also spent 2 years in co-op work placements in manufacturing, food processing, package sorting system design, MEMS research, ship maintenance planning, and defense contracting. For my senior design project, I was finally able to combine my interest in acoustics with my engineering skills, coupled with my many years of musical experience, and with two other musical classmates in Mechatronics designed and built a software program which generates the sheet music based on the live performance of a guitar or violin. This project would prove to be very important in my eventual acceptance to grad school. In February 2008, I was two months from finishing my engineering degree and, somewhat mirroring my experience at the end of high school, still didn’t know what I wanted to do after graduation. Most of my classmates were starting full time jobs while others (less than a third, I estimate) were continuing on to grad school. I was exploring both options, but after living on spaghetti sauce for months the thought of an income sounded quite appealing. I had a couple interviews for a computer programming job close to my parents’ place which I was strongly considering taking. To keep my options open, over spring break, when most of my friends either went home or on holiday, I was looking into acoustics graduate schools in the United Kingdom when I stumbled upon the website of the Canadian Acoustical Association, a collection of scientists and engineers (mostly Canadians) working in acoustics-related fields in disciplines as disparate as architecture, medicine, and oceanography. Acting on an impulse, I looked up the backgrounds of the association officers and came across their past president (Dr. Stan Dosso, at the University of Victoria in British Columbia, Canada), and learned that his research interests included underwater acoustics and geophysics. His underwater acoustics research sounded really cool, although I didn’t understand much of it. I contacted Dr. Dosso, sent him my resume & transcript, described my sheet music project to him, and asked him if he was looking for grad students. 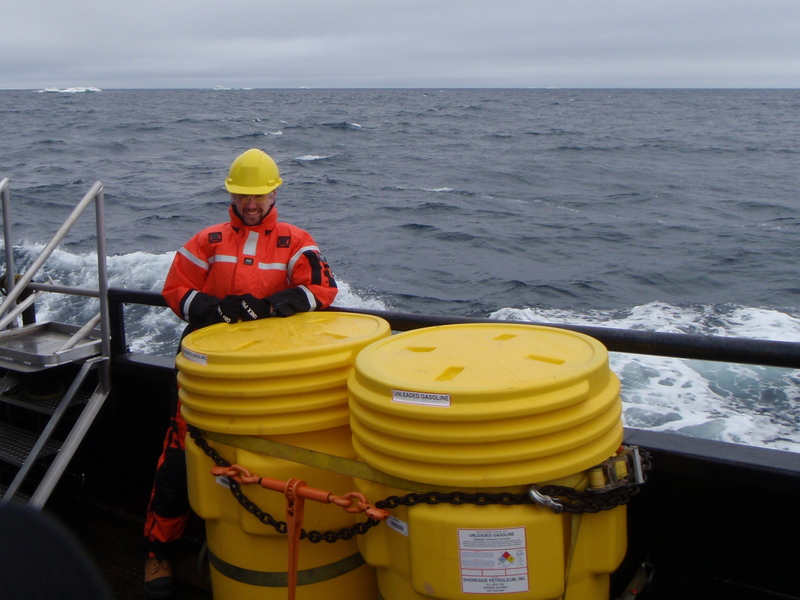 The first of several underwater acoustic data collection trips (this one in July 2008) I went on to the Chukchi Sea (northwest of Alaska). Note the sea ice in the background! After that first discussion, things fell into place. Dr. Dosso flew me out to Victoria to meet him in person and see the campus. Our meeting went very well, and he got me in contact with an underwater acoustics consulting company (JASCO Applied Sciences) in Victoria who I would work part-time for throughout my MSc degree. JASCO also partially sponsored my MSc research, and to this day I maintain ties to them. I started in the MSc degree program at the University of Victoria in the fall of 2008. 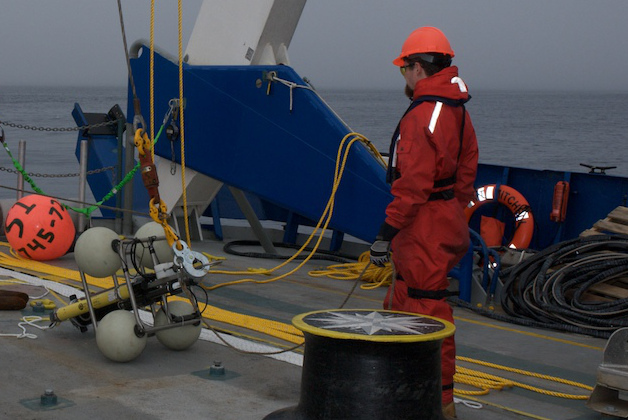 Deploying underwater acoustic recorders in the Chukchi Sea in August 2009. In the fall of 2010, as I was nearing the end of my MSc research and was starting to write my thesis, I had much less uncertainty in my career path than at the end of my college days. My job prospects were good, I was more confident in my abilities than I was leaving college, and I enjoyed living in Victoria. In November, I attended my first major scientific conference: the 2010 Acoustical Society of America meeting in Cancun, Mexico. I presented my research into underwater passive acoustic localization and tracking of Pacific walruses, and got some good feedback from the other members of the bioacoustics community. Upon returning to Canada, I got an intriguing email from another grad student who had seen my talk. She was a PhD student at the Hawaii Institute of Marine Biology (a lab at the University of Hawaii), and had been asked by a professor (Dr. Eva-Marie Nosal) at the University of Hawaii (UH) to keep an eye out for students who might be interested and capable of pursuing a PhD in passive marine mammal acoustics which built upon concepts in electrical engineering. This student suggested I get in touch with Dr. Nosal, as the work I’d presented in Cancun sounded similar to the type of work Dr. Nosal was looking to do. With visions of long sandy beaches and drinks with tiny umbrellas, I contacted Dr. Nosal and a train of emails culminated in an hour-long Skype discussion with me in my lab at the University of Victoria and her in her office in Honolulu. We came to the decision that my abilities, experience, and research interests were a good fit for the project she had funding for, and so in January 2011 we started the process of enrolling me at UH in January 2012 (I still had to write and defend my thesis, and had a prior commitment to work at a NATO acoustics lab for the fall of 2011). Grad school isn’t all work and no play. 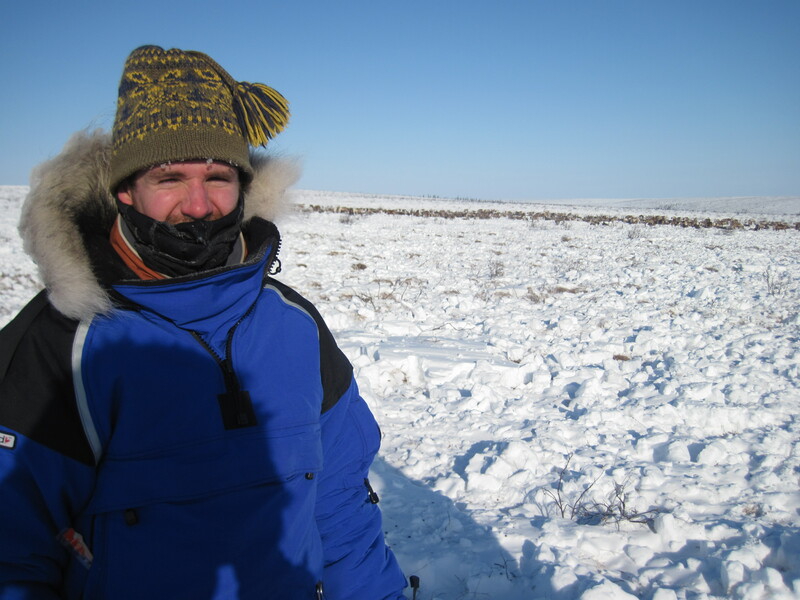 In March 2010, two friends and I drove from Vancouver (British Columbia) to Inuvik (Northwest Territories) and got to see the reindeer herd managed north of town. The rest largely fell into place. Dr. Nosal and I stayed in touch during 2011 as I tracked down some insidious bugs in my software, finished my research, and spent 3 months working at the NATO lab in Italy (then called NURC). I ended up defending my MSc thesis on January 4th 2012, submitting my final paperwork to the Graduate Studies department on January 6th (including the revisions to my thesis), packed my house up on January 7th (bequeathing my IKEA furniture to my bemused roommates), flew from Victoria to Honolulu on January 8th (never having been to Hawaii before), spent my first month in Hawaii staying with a friend I knew from my time in Italy who, it turned out, was also a grad student at the University of Hawaii, and started at UH on January 9th. Since coming to UH, I’ve finished all the recommended courses for the PhD program in Ocean and Resources Engineering, presented at two international acoustics conferences and a seminar on marine bioacoustics, had my first paper accepted for publication (based on my MSc research), and am continuing to work on ways to leverage my experience in signal analysis and underwater acoustics to gain information on the properties of the ocean using underwater acoustics. I like the work that I do, although some days it can be frustrating. As it turns out, my initial interest in underwater acoustics all those years ago hasn’t been fleeting. However, even if I don’t work in this field for my entire career, attending grad school has been a very rewarding experience for me; grad school has taught me, and is continuing to teach me, how to work and think like a scientist. I’m confident that there are many transferable skills which I am gaining during my time here, and am grateful that I chose to continue my university career after college rather than jump at the first job which came my way. Brendan Rideout is a PhD student in the Ocean and Resources Engineering department at the University of Hawaii at Manoa where he works as a Research Assistant for Dr. Eva-Marie Nosal. 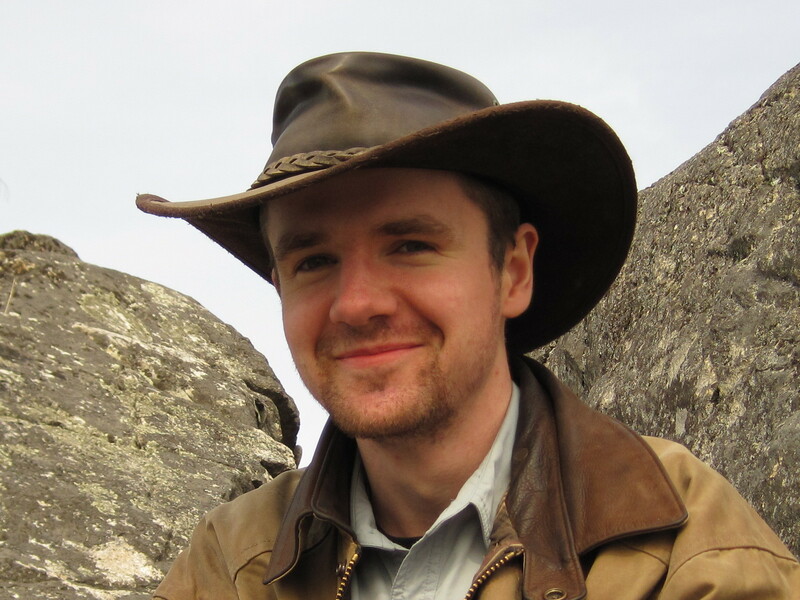 His current research involves adapting and developing algorithms to estimate ocean waveguide impulse responses using vocalizations created by underwater marine mammals. Search Real Science at SOEST!